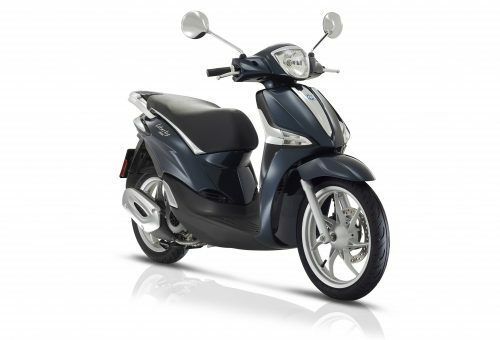 The all new Piaggio MP3 500 is back in America. 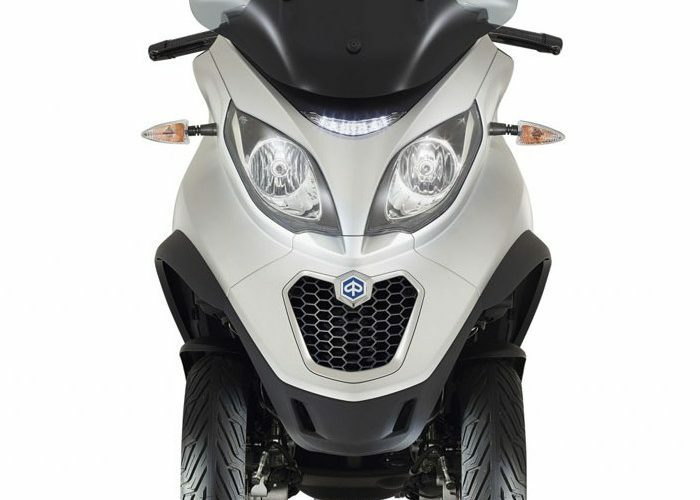 Piaggio has completely redesigned and updated the technologies that power the iconic 3-wheeler that was first introduced in 2006. 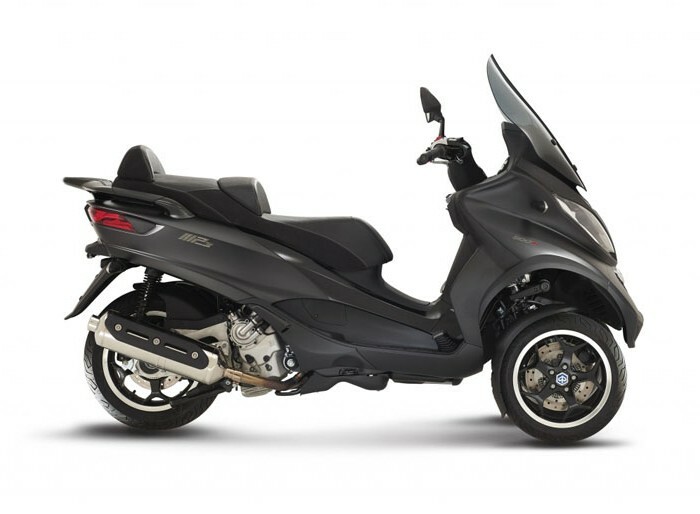 The re-birthed 2019 version of the MP3 500 is the perfect meld of style and technological enhancements. 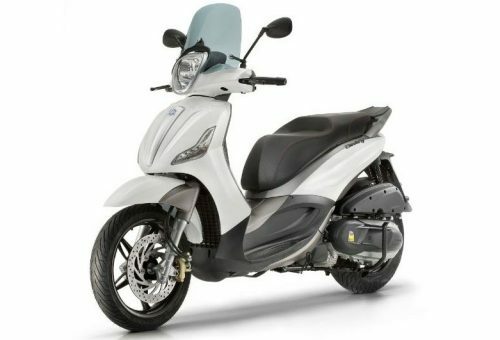 There’s a tremendous amount of under seat storage, Anti-lock braking system, traction control, and a Dashboard Cockpit that’s loaded with features. The new design is sporty, elegant, and refined. The front shield keeps with the original MP3 250/400 style, but has a totally new form. 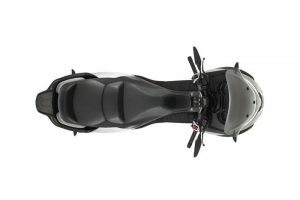 The 13″ diameter, front mag wheels have a sporty dual-spoke, 5-star design; reminiscent of a modern-day high end European sports car. The rear view of the new MP3 flows smoothly with the clean lines of the new body. 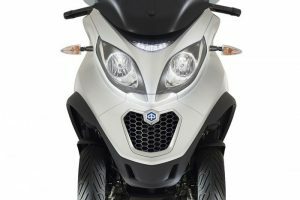 The wrap-around LED tail light is more streamlined and dynamic, elegantly housed in the thoughtfully sculpted new body work; highlighting the sports car character of the Piaggio MP3. 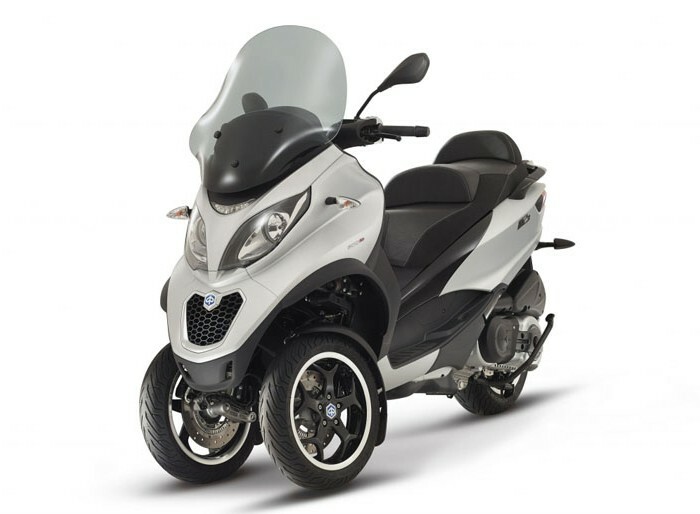 The sporty look marries perfectly to the aggressive handling that’s quintessential to the articulating and tilting front wheels. Whether it’s cross town or cross country, your only limitation is your imagination as to where you can go on your new MP3 500. 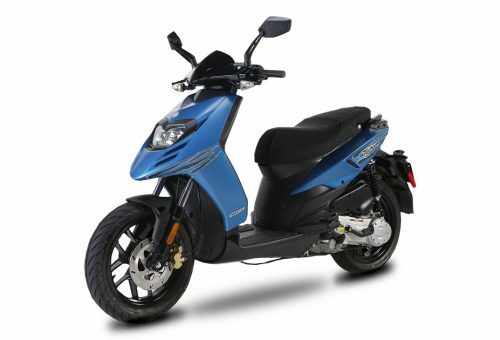 It’s a nimble and convenient city scooter and an interstate cross country adventure cruiser that will take you where you want to go in comfort and style unmatched by any other scooter on the market. Fly-by-wire throttle control for Traction Control System (ASR) that can be turned off and on. Fuel sipping ECONOMY “Eco-mode” can be enabled or disabled. LED front running light, tail/brake lights are all sports car inspired. 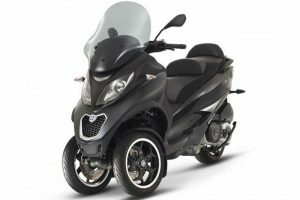 Updated twin-spark 500cc engine, refined for less vibration, more power, and better economy. New HPE (High, Performance, Engine) with 14% more power. Completely revamped and updated body work, similar storage and comfort to the original MP3 with new sporty Italian style. Sporty mag 13” wheels in the front, 14” in the rear. Adjustable 3-position sport touring windshield. 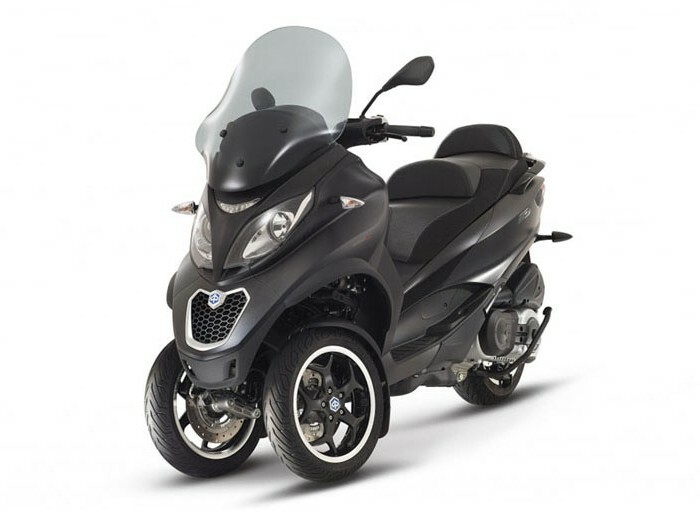 Includes more standard features than most small cars. 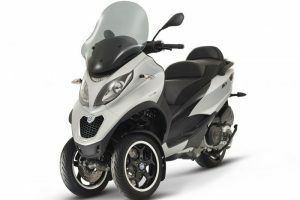 Come experience the new MP3 500 today and see the future of scootering.